With a slick interface and advanced editing features, HitFilm 4 Pro is a post-production powerhouse. Editor’s Note: PremiumBeat is not paid by any software manufacturer or developer. All of our reviews reflect our honest opinions of the software. It’s hard to remember the last time we’ve been really excited about a new software launch. While it seems like other software companies have been slowly plateauing, the good people at HitFilm have quietly been perfecting their software. 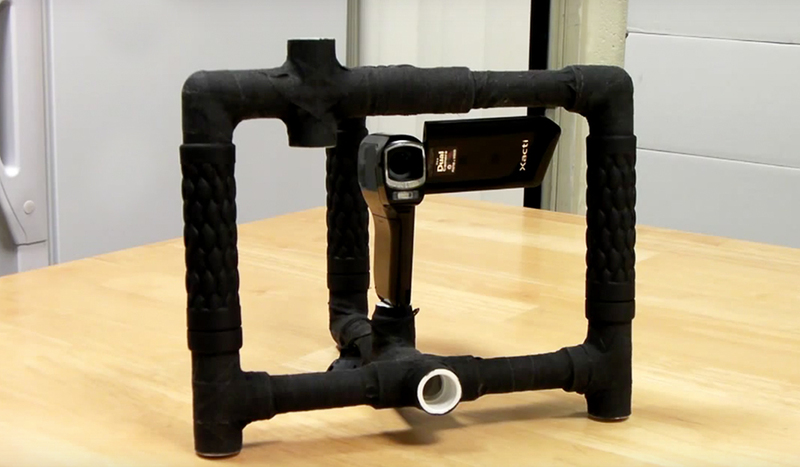 Their latest release, HitFilm 4 Pro, is an amazing reminder that video innovation is not dead. HitFilm gave us the opportunity to review their new software. Here’s our experience. The professional video editing world is notorious for creating very unapproachable products, but HitFilm is completely the opposite. Users with just a very basic understanding of video editing software will be able to figure out how to use HitFilm 4 Pro. The software is essentially Premiere Pro/Final Cut Pro and After Effects combined into one editing platform. The sleek design is easy to navigate and the buttons and icons are all virtually self-explanatory. There are two main layouts which you will use when working inside of HitFilm: Edit and Compositing. In this regard, it’s very similar to DaVinci Resolve or Adobe Lightroom. The editing workspace looks and feels like a modern NLE, complete with video and audio effects. 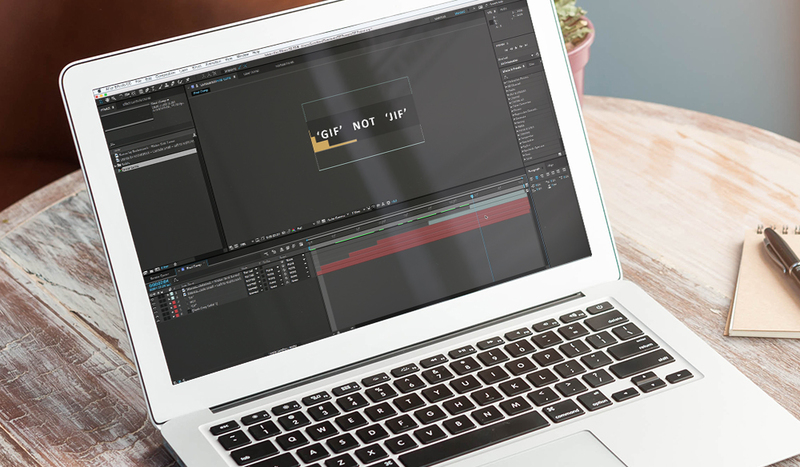 While it doesn’t have all of the features associated with modern day professional video editing applications, it has all of the basic tools you need to do a simple-to-intermediate editing project. In my experience with HitFilm’s editing interface, I never once ran into any playback issues or bugs, which is more than I can say about Premiere Pro. The compositing interface is essentially a hybrid 3D version of After Effects — but unlike After Effects, you don’t have to open a separate software. Compositing is a great descriptor for this tab because that’s clearly what HitFilm was designed to be. Inside the compositing interface, you will find a series of effects, tools, and features that are ‘sexier’ versions of After Effects plugins and effects. 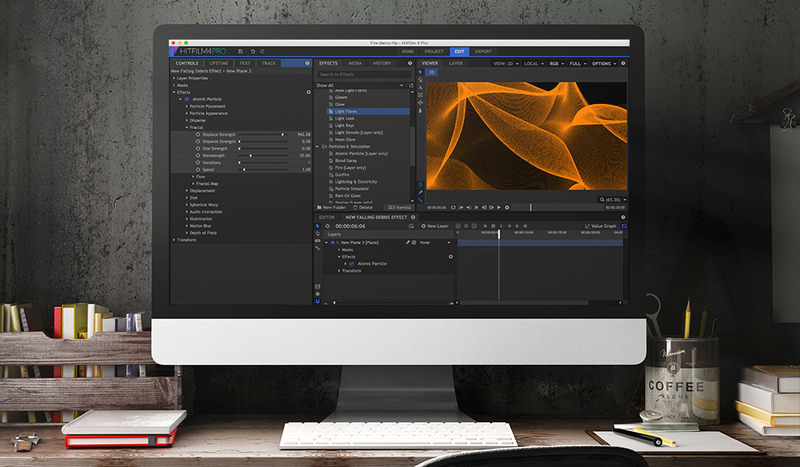 Unlike other high-end compositing softwares, HitFilm is a layer-based software, just like After Effects. The buttons and icons are big in HitFilm, which is fantastic. You don’t have to squint your eyes to see them. However, this can occasionally lead to some cramped working conditions if you are working on a laptop screen. If you have any experience with modern video editing applications, you’ll quickly be able to pick up HitFilm. We were able to jump right in and use HitFilm without any problems whatsoever. HitFilm uses human language to label their software and it makes the entire editing/compositing process very easy. If you’re completely new to HitFilm, you could probably learn most of the features within just a few hours of messing around in the software. When you launch HitFilm, you are immediately welcomed with a page that has tutorials and articles about HitFilm. They also have an ever-growing network of forums online that answered all of the questions we had about the software when we did a quick Google search. Masks: Masks work very similarly to those found in After Effects. There’s a pen tool that can quickly be used to mask out certain areas of your layers along with an ellipse tool and rectangle tool. Graph Editor: If you’re a fan of organic animation, you’ll be happy to see that HitFilm has a graph editor that can be used to smooth out keyframes. Parenting: While you won’t find a pick whip anywhere, you can still parent objects together in HitFilm. You can also use the null object (point) trick to quickly move a camera and rotate it around a fixed point of interest. Effects: HitFilm has virtually all of the basic effects you’ll find in all of the major video editing applications. You’ll find levels, curves, blurs, sharpens, and every other basic effect you can imagine built into HitFilm. Rolling Shutter Repair: Like many modern NLEs, HitFilm has a built-in rolling shutter repair tool. There are also many other basic features that HitFilm includes, like blending modes, audio tools, and editing tools. HitFilm’s exclusive built-in features are impressive… really impressive. Here are a few of our favorites. Pro Skin Retouch: If you’re working on a fashion film or commercial, the skin retouching tool inside of HitFilm is a really great feature. You can easily select skin and smooth it out. You can also adjust skin saturation, exposure, and glow in this effect. There’s even an option to convert your skin selection into a black-and-white mask. Hyperdrive: While this effect is rather specific, if you’ve ever wanted to create a Star Wars-esque hyperdrive effect, you can easily do so using the Hyperdrive Effect in HitFilm. Action Tools: Working on an action film? Using the built-in gunfire effect, you can customize and create 3D muzzle flashes without having to use pre-rendered action effects like Action Essentials from Video Copilot. Users can adjust cone shape, flare distance, and color all from inside the gunfire effect. There are also amazing smoke, explosion, tornado, debris, fire, and rain effects all built-into HitFilm. All-in-One Color Grading Tools: While you’ll find your normal vibrance, sharpen, and levels effects in HitFilm, there are also a few special color grading tools that deserve a mention. The coolest color grading tool is the bleach bypass effect which can easily be dropped onto any layer. Users can adjust the bleach bypass intensity using a slider. There is also a cine-style effect designed to emulate cinematic color grades. While I wouldn’t say any of these features would ever replace color grading by hand, they can be quite fun to mess with. Distortion Tools: HitFilm includes built-in distortion and noise tools that can be used to simulate a distorted video or film. Most notably, HitFilm has an awesome ‘Film Damage’ effect which can be used to create a Grindhouse effect to your footage. 3D Object Importing: You can easily import 3D models into HitFilm just like video files. This is a fantastic feature that gives HitFilm a considerable advantage to After Effects, which utilizes the Cineware effect to import 3D objects. In a way, HitFilm 4 Pro’s native 3D tools work a lot like Element 3D. Form-Based Particle Emitter: HitFilm has a an amazing tool called Atomic Particle Effect which essentially creates a particle system that surrounds both 2D and 3D objects alike. This tool works a lot like Trapcode Form, but it’s included in the software. There are plenty of other exclusive features in HitFilm, but these are just a few that stood out during our review. 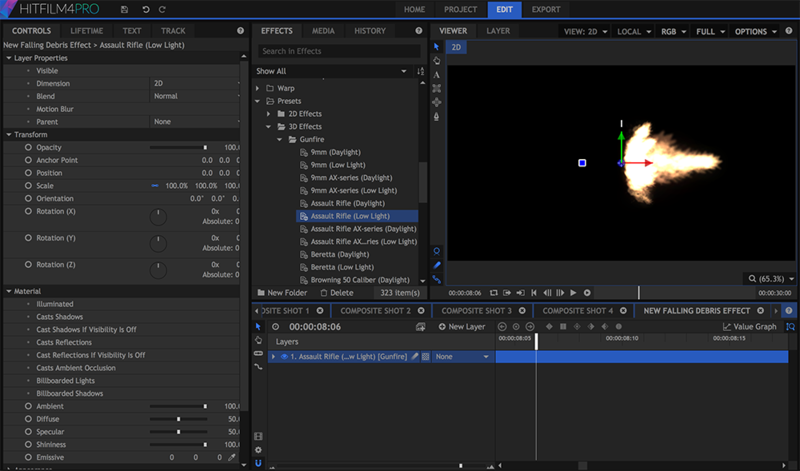 HitFilm has a few particle generator effects that are extremely customizable and support 3D. In a way the particle generator built-into HitFilm is like Element 3D and Trapcode Particular, and Trapcode Form combined. You can even use moving 3D animated models in the particle generator. 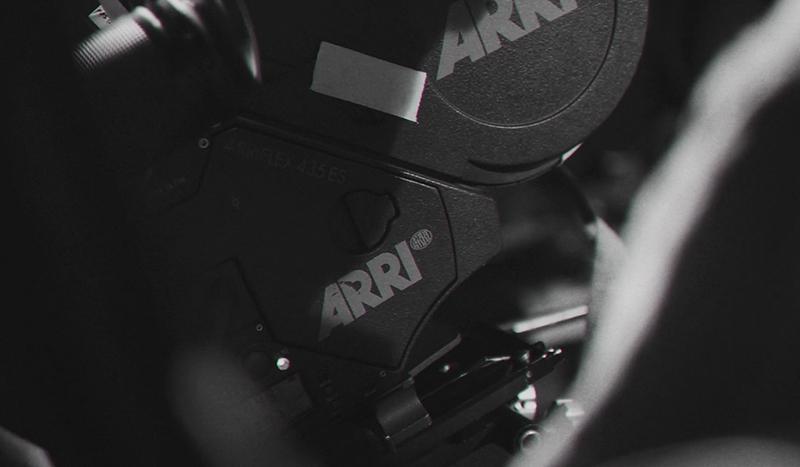 For more info on the particle generator I recommend checking out HitFilm’s site. It should also be noted that HitFilm is incredibly fast at rendering out all of the effects listed above. There were only a few moments during our review that HitFilm didn’t play all of the effects in real-time. However it did have a few crashing issues while we were reviewing it. Advanced Text Editor: The text editor inside of HitFilm isn’t as advanced as those found in Adobe Software. For example, there are only a limited number of paragraph options, no align tool, and you must make a text box in order to create text. In this regard, it’s clear to see that HitFilm is more of a compositing software than motion graphics software. Pick Whips: One of the best hidden features in After Effects is the pick whip tool. This tool, when coupled with simple expressions, will radically change the way you work with motion graphics. Unfortunately, HitFilm’s closest answer is simply a dropdown parent menu, which is nice — but it’s certainly not enough to keep AE users happy. Multi-Cam Editor: A good litmus test to see if a video editing program is serious about targeting the professional market is to look for a multi-cam editor. Unfortunately, there is not one in HitFilm at this time. But if DaVinci Resolve or FCPX are indicators of what the natural feature progression of a software might be, it’s safe to say we could very likely see a multi-cam editor in the future. How Is It Different Than After Effects? HitFilm is a compositing software before anything else. The developers of HitFilm have clearly spent a lot of time perfecting the individual effects, and their hard work is much appreciated by the PremiumBeat team. HitFilm is a great software for quickly adding ‘cool’ effects to your project. In fact, a lot of the effects and presets found in HitFilm can’t be found in After Effects by default (fire, smoke, snow, etc.). HitFilm’s compositing workflow is incredibly fast. Simply clicking a tab is so much easier than using the Adobe Dynamic link or exporting footage. After Effects users will be surprised that you can even watch footage without having to render it first (gasp). The software is designed for beginner-to-intermediate level VFX artists and compositors. Its large, sleek interface makes it incredibly easy to use, but somewhat difficult to organize once you begin to have more than ten layers. With HitFilm, what you see is what you get. This is great because you can easily learn and use the software. But it’s bad in that there is clearly a creative ceiling you will hit when using HitFilm. You could spend your entire career learning new things in After Effects. I don’t think the same could be said about HitFilm. 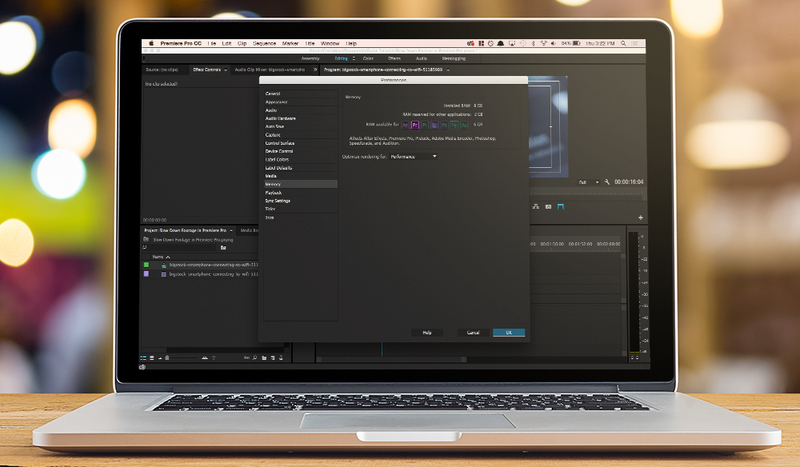 HitFilm is faster at compositing than After Effects, making it a powerful tool for VFX artists. If all you do is compositing and VFX work, you would probably be more happy working inside of HitFilm than After Effects (once you get used to the workflow). HitFilm vs. After Effects: Who Wins? Here’s our quick (and highly opinionated) feature comparison between After Effects and HitFilm. Can it Replace After Effects? HitFilm 4 Pro will never be able to replace After Effects entirely, but I don’t think that’s what its designed to do. HitFilm is an easy-to-use alternative to After Effects that offers users a set of powerful features that would be incredibly difficult (if not impossible) to simulate in After Effects. In most cases it felt like HitFilm 4 Pro was at least twice as fast as After Effects. There are some situations in which you would probably want to use HitFilm over After Effects. If you’re working on an indie action sequence, you’d be mistaken to use After Effects over HitFilm. But if you’re working on a 2D animation, there’s no way you would want to use HitFilm over After Effects. If After Effects is beginning to annoy you, or if you’re looking for a quick 3D compositing solution, I highly recommend downloading the free trial from HitFilm. After you begin to familiarize yourself with the effects, you’ll be able to get a better idea as to when you might want to use HitFilm over After Effects and vice-versa. HitFilm 4 Pro is the most exciting video software I have ever used. The program was clearly designed with artists in mind. From fast playback to 3D models, HitFilm 4 Pro has virtually everything an aspiring filmmaker, compositor, or VFX artist needs to create amazing works of art. Sure it’s not After Effects, but in a lot of ways it’s better. HitFilm is trailblazing a new era of video editing software, and if Adobe doesn’t up their game, they may be left in the dust. HitFilm Pro 4 Costs $349 and can be purchased directly from HitFilm’s website. You can also download a no time-limit free trial from HitFilm’s website. Just keep in mind that you will only be able to export 30 seconds of YouTube SD quality footage in the trial. Hitfilm is compatible with both Mac and PC. What do you think of Hitfilm 4 Pro? Share in the comments below.